Do you remember that feeling when you were a kid and on Christmas morning you ran downstairs to discover that the biggest present under the tree had your name on it? Do you remember how excited you felt? Well, that was how I felt when I found out I was going to go on the Backstage Magic Tour (#backstagemagic) at Disney World. Like Christmas morning, only better! 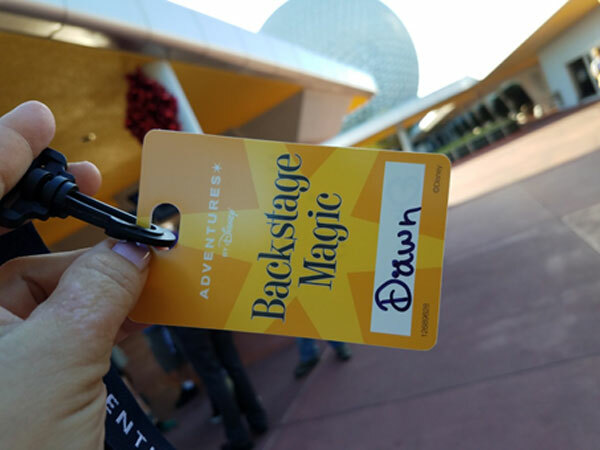 The Backstage Magic Tour is a seven hour tour that takes you behind the scenes of many “secret” areas of Disney that are not seen by most people. 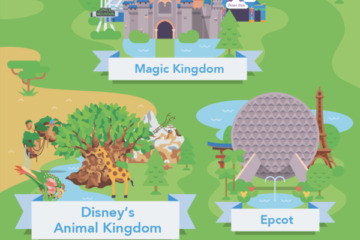 It’s a pricey tour at $275 per adult, but if you are obsessed with Disney and love to get the inside scoop on how things work, you may want to consider gifting this tour to yourself on your next trip. Let me give you a quick snapshot of the tour. Our tour group met at Epcot and was given very specific directives that no photos are allowed on this tour. Many of the places we were going visit are off limits even to other Cast Members. For someone like me who loves to take photos, it was almost painful to store my camera away and promise to not take it out during the tour. 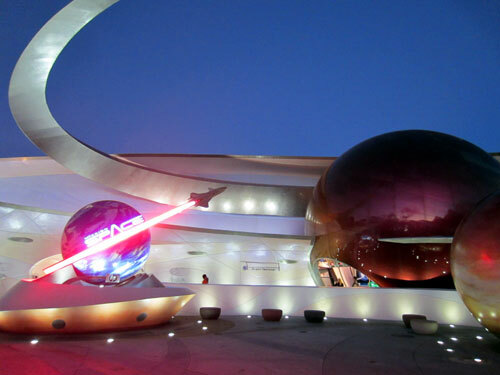 Luckily, Disney did provide some promotional photos of the areas we visited, and you’ll see them in this article. The photos in this article are not illegal photos. 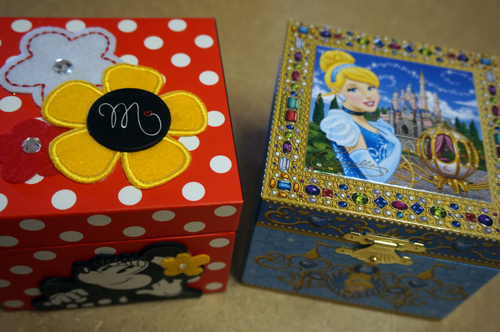 They are Disney-approved and Disney-provided photos. We hopped aboard a bus and traveled to the back of Epcot where we entered the rear entrance of the American Adventure Pavilion in World Showcase. It was early morning, so it was strange to see the place completely deserted. 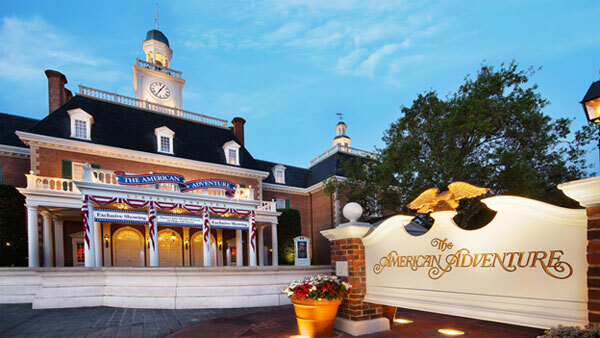 How fun to get to peek behind the scenes at The American Adventure show in Epcot’s America Pavilion. Our guides then took us behind the stage of The American Adventure stage show. It was mind-blowing to see how big that area is. 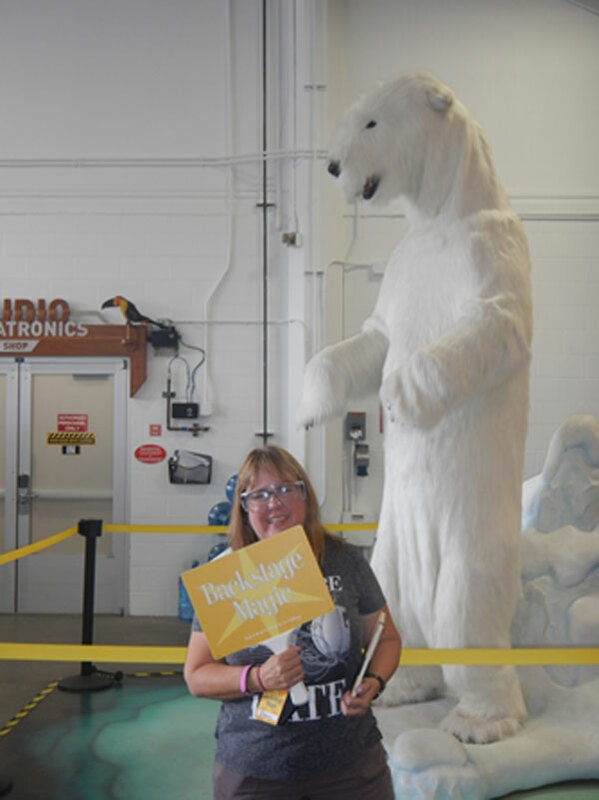 We got to see how Disney operates the many audio animatronic characters and scenes that pop in and out of that presentation. While every tour is slightly different because you never know at what stage you’ll find Cast Members working, we were lucky enough to watch a test run of the show. Very cool! Next, we hopped back onto the bus and traveled to Creative Costuming. I think this was my favorite part. We saw where the magic truly begins for Cast Members: with their costumes. 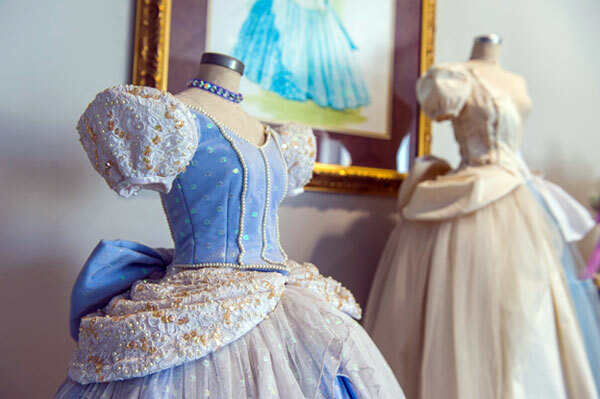 Did you know Disney creates all of its own character, show, and parade costumes? Fun Fact: Minnie Mouse has the most shoes and dresses. 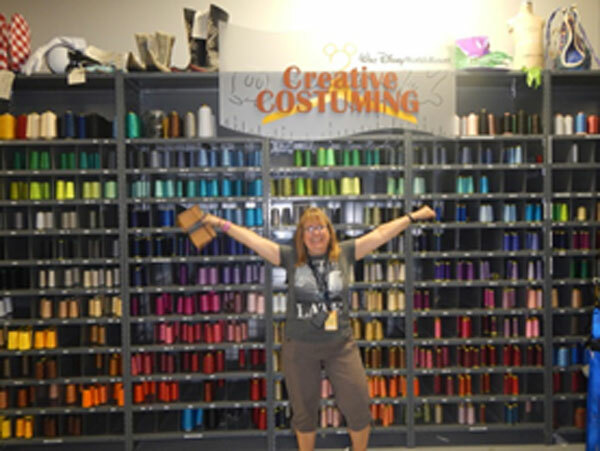 At Creative Costuming, we got to see each step in the creation of Disney’s costumes. My favorite part of the tour was seeing two very elaborate Rivers of Light costumes that took 1000s of hours to make but then never got used because they were too heavy for the performers. Now they hang on the wall for the lucky visitors of the tour to admire and appreciate (you can’t imagine how much I wish I could have taken a photo)! We also learned that Disney recycles old costumes that can no longer be worn due to wear and tear by recycling them into teddy bear costumes to be donated to children’s hospitals and makes pet beds for local shelters. After we finished here, we got back on the bus and traveled to Textile Services. I’ll admit, I didn’t know what this was, but it was Disney’s huge laundry facilities! In this giant building that housed eight school bus-sized washing machines, Disney washes 2.5 million pounds of laundry a week! 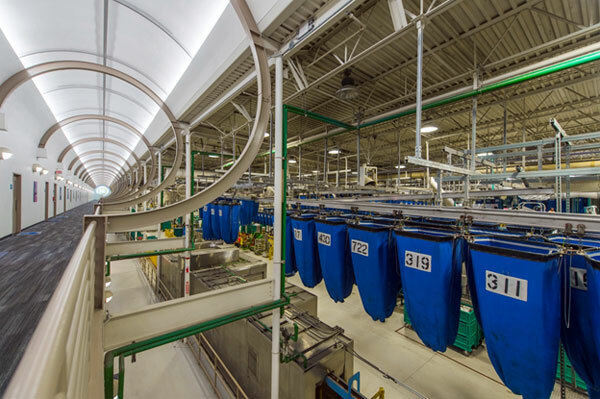 The Textile Services building has three miles of track to move laundry from one step to the next. 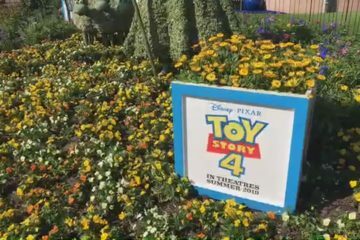 Once again doing its part to be efficient and environmentally conscious, we learned how Disney recycles all of its water and uses the most advanced equipment to wash the linens and bedding of every resort that comes to this one facility. With all this walking and touring, we were getting tired so we were thankful that the next stop was lunch! 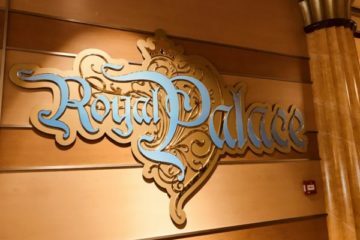 We were taken to Whispering Canyon Café at Disney’s Wilderness Lodge and were treated to an all-you-care-to-eat lunch of ribs, chicken, sausage, corn and so much more. Just be ready to have some fun at lunch as the Cast Members who work there love to horse around and have fun with all of the guests. 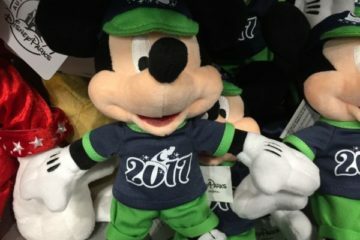 After pulling ourselves from the delicious feast, we hopped back aboard our tour bus and traveled to WDW Central Shops, the place that makes sure all the magic happens. Here, monorails and Magic Kingdom trains drive straight into the building for repair and maintenance, Dumbo and Hunny Pots come to be painted and freshened up, Jungle Cruise animals get “operated” on to keep them functioning, and sometimes behind curtains, new rides are worked on and created. (Our tour group almost revolted and charged one of those “hidden” areas, but then decided it wasn’t worth risking a lifetime ban from Disney). 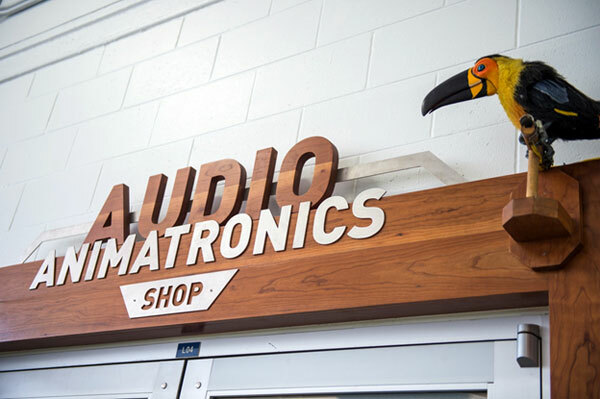 Central Shops makes sure all parts are working on Disney’s many Audio animatronics creations! Fun Fact: there can easily be hundreds of projects worked on at one time, and a small team of less than 20 people manage all of these projects. This is truly an amazing building with so many extremely talented Cast Members. The tour ended by saving the best for last. We were driven back to Magic Kingdom so we could travel to the oh-so-secret Utilidors that are under the park as the guests know it. Not everyone realizes that the park is built on the second floor. Under the park are tunnels that lead from one land to another that only Cast Members get to use. This unique area is used for Cast Members to go from one part of the park to another, for transporting supplies, and for storage. I completely geeked out as I watched the Mad Hatter walk by with his nose in his hand, and Ariel stroll along wearing sweat pants. Fun Fact: There is over one mile of tunnels down there so they have maps every few feet to prevent new Cast Members from getting lost. Sadly, that was the end of our tour. You wouldn’t guess that seven hours could go by so quickly. We all received commemorative pins and memories that will last a lifetime. If you are able to treat yourself to some #backstagemagic, I highly recommend it. You won’t be disappointed. Have you ever been on a Disney backstage tour? Would you enjoy going?